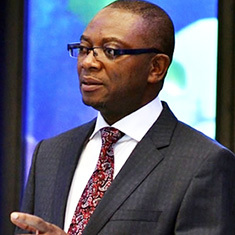 DAI has a history of work in Nigeria going back to the 1970s, implementing dozens of major projects for clients including the U.K. Department for International Development, the U.S. Agency for International Development, the European Union, and the Chevron-funded Partnership Initiatives for the Niger Delta. Ongoing projects in Nigeria include conducting water, sanitation, and hygiene initiatives; empowering women to serve as nurses and midwives in Northern Nigeria; promoting more accountable, responsive, and capable state and federal governments, while building the government’s capacity to develop pro-poor public policy; and boosting incomes through investment and market systems in the Niger Delta. DAI joined forces with GRID Consulting in 2018. The combined entity—complementing DAI’s global resources with GRID’s deep-rooted networks, insights, and track record of delivery in Nigeria—enables DAI to serve more efficiently a growing, technically diverse, multiclient portfolio in Nigeria, and to reinvest operational savings in our work and the operating platform that supports it. From this integrated platform, DAI is able to recruit, retain, support, and ensure the security of the people who deliver our work in Nigeria and the region, in full compliance with local laws and regulations and with DAI’s global standards. As we absorb and apply the lessons of our work across clients and sectors, we continue to refine platform services and supports to partners, customers, and beneficiaries.